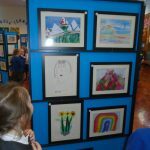 Scenes from our bi-annual Art Exhibition today as children rushed to locate their framed artwork among that of the rest of the school. 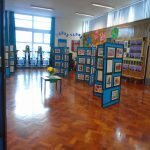 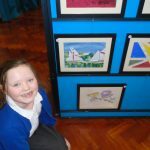 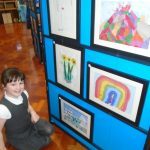 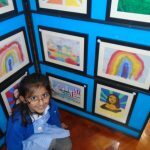 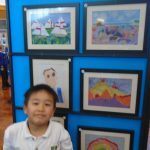 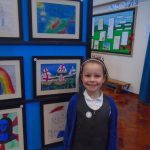 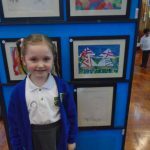 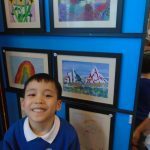 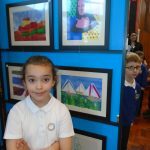 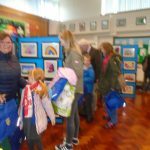 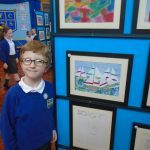 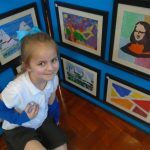 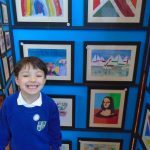 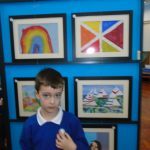 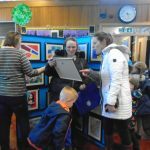 They were more than happy to show off their paintings, collages or drawings when they were joined by parents, grandparents and carers at the end of the school day as the exhibition was opened to all our school community. 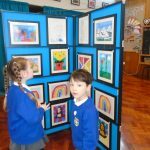 Wonderful framed art work from all of the children. 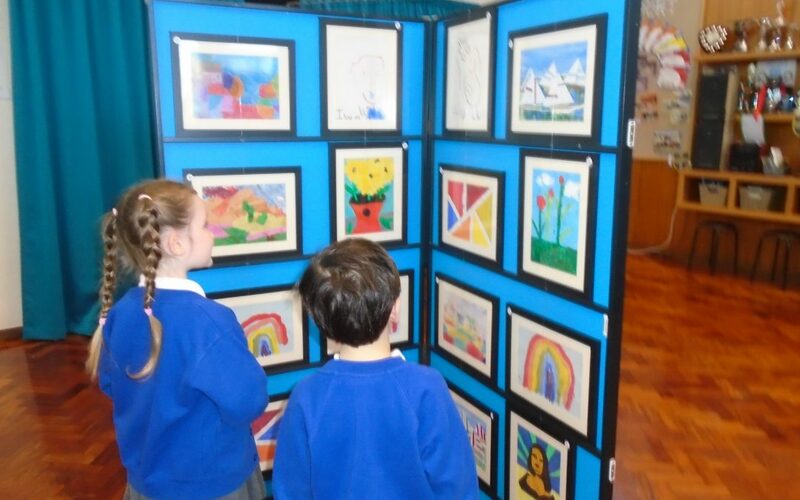 Congratulations to all on your lovely pieces. 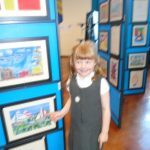 What a nice memento to keep. 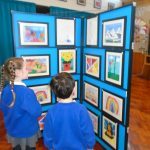 I will miss not being able to come and view the artwork. 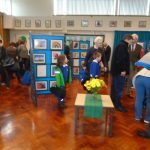 I have however got lots of lovely pictures that both my boys made while at Fellside, displayed on my dining room walls.